Marzuki Darusman is a commissioner of Indonusa since 2011 representing shareholders of Indonusa Group, including PT Nusapati Prima - a holding company for bauxite mining operation. Currently he is appointed as UN Secretary General’s Special Raporteur on Human Rights for North Korea, following his role as raporteur for Sri Lanka and the assassination of Benazir Bhutto. 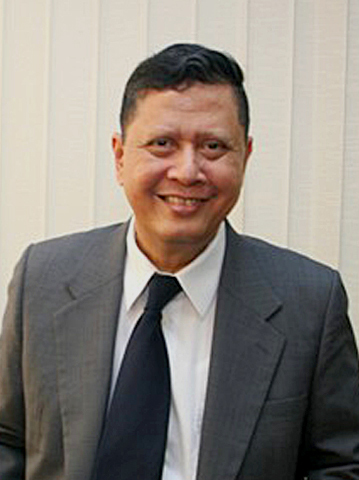 He also serves as Senior Advisor to several International Organisation such as HD Asia Advisory, Executive Director for Asean Human Right Resource Centre and OCBC bank. He was the former Attorney General, when Abdurrahman Wahid was elected as President in 1999 (the first democratically elected President). He had served 4 terms as member of parliament as representative of Golkar party. Marzuki Darusman hold an Honorary Doctorate in Law from Parahyangan Catholic University, Bandung- Indonesia.